Our Firebird® humbucker is a uniquely designed but vintage toned pickup. Slightly brighter than a mini-humbucker and with slightly more/longer sustained bass response. 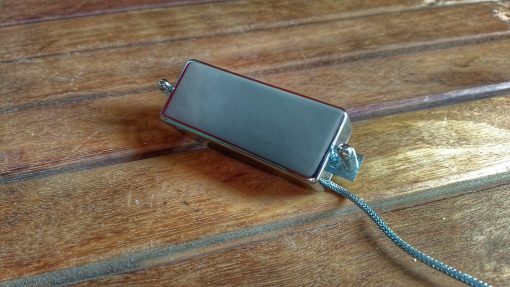 A recent customer was trying to decide between a mini-humbucker and a Firebird and said he wanted that “spank.” This pickup has the “spank.” It is also a very dynamic pickup that is reminiscent of a fat single coil pickup. Replaced stock pickups in a recent Firebird V with Revel Firebirds and it really woke the guitar up. Stock pickups (ceramic magnet, overwound) drive the front end of the amp hard and are fine at gain, but are… less interesting at clean settings. 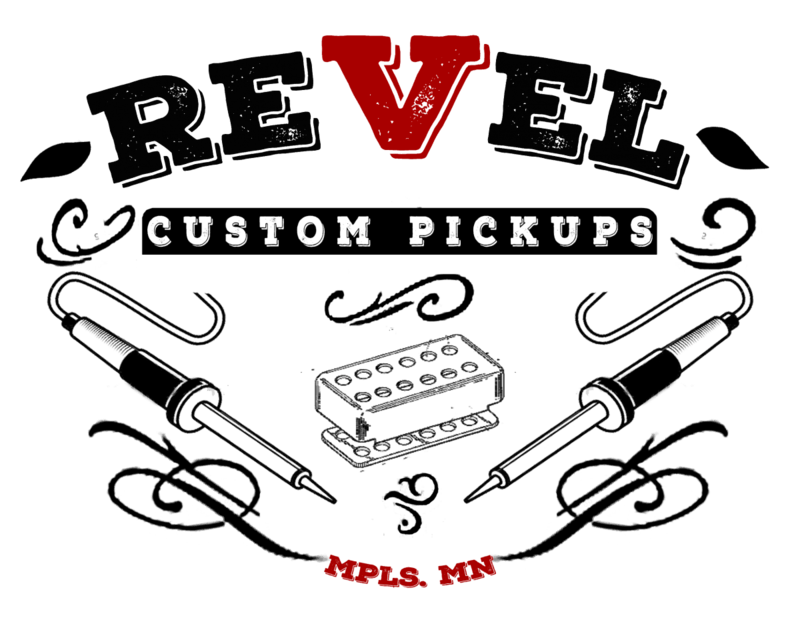 Revels are much more versatile, offering a beautiful harmonic overtone that are warm and chimey. It’s like a whole new guitar – great fun! So I got the pickups in my guitar and headed down to Chicago Music Exchange to spend my insurance money from gear being stolen and try out boutique guitars for fun/try out realistic options for a second guitar. In trying out many boutique builders/Custom Shop guitars and amps I realized one thing pretty quickly, nothing was “beating” the Firebird. The articulation and body along with the chime that I was looking for was all there in the pickups I’d installed. A far cry from the stock pickups muffled and loud sound I was looking to get away from. Your pickups made the guitar go from an option when walking into the store, to the only one I need walking out of the store. I no longer felt the need to even have a second guitar to cover my bases. That’s about the highest praise I can think of. Sure there are other brushes to paint with in the grand scheme of things and different people want different things but for me this does it. Chords have definition even when playing fuzz or higher gain sounds and the pickups can go from a whisper to a roar just in how I change my pick attack. After I get the taper fixed on the stock Gibson volume pots by Hendrickson Guitars, the original suggester of revel pickups, to be more linear I cannot see a reason that I’d need another option to go to for guitar sounds. So the long and short of it is that you’ve managed to make a serious G.A.S. nerd turn into a content and appreciative player. Quite a feat indeed. Congrats on making the best Firebird mini humbuckers I’ve ever had the pleasure to play let alone own.